Everything on this glog = Just F%£*king marvelous. Hey Tristan, good to hear from you buddy! Bummer getting snow during your growing season. Is that common? Hey Rick, cool to see you again! Hi Giancarlo, thanks for dropping by and good luck to you this year as well! It's been nearly a week, and no germination in the Aerogarden yet... It's been a constant 70 degrees in the house, but that doesn't seem to be enough to get them germinating. I'm going to see if I can scrounge up an immersion heater like they use in aqauariums for tropical fish to insert into the port for adding water. If memory serves me, I think it'll fit in there. Edited by stickman, 21 January 2017 - 07:58 AM. Hi all! 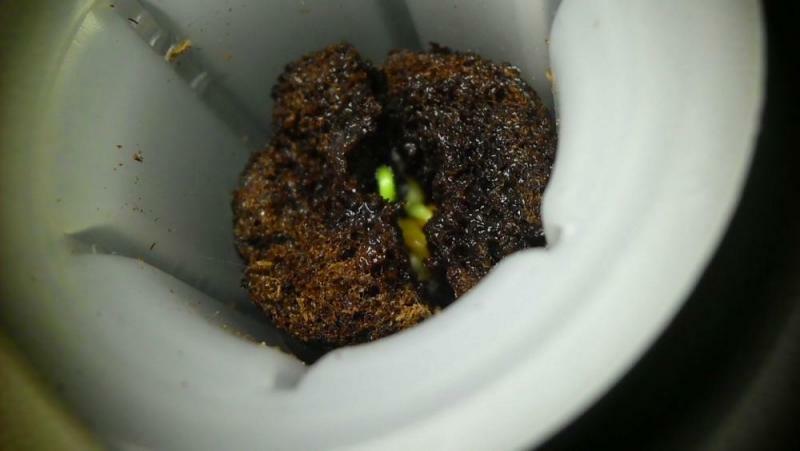 The first of the seeds in the Aerogarden are showing radicles! Not much to see yet, but I hope to get hooks in the next day or three, and the first stirrings in the other Chile varieties by the end of the week. I'm really looking forward to Randy's pods this year because they were the hottest ones I tried last year and they made an excellent smoked sauce. 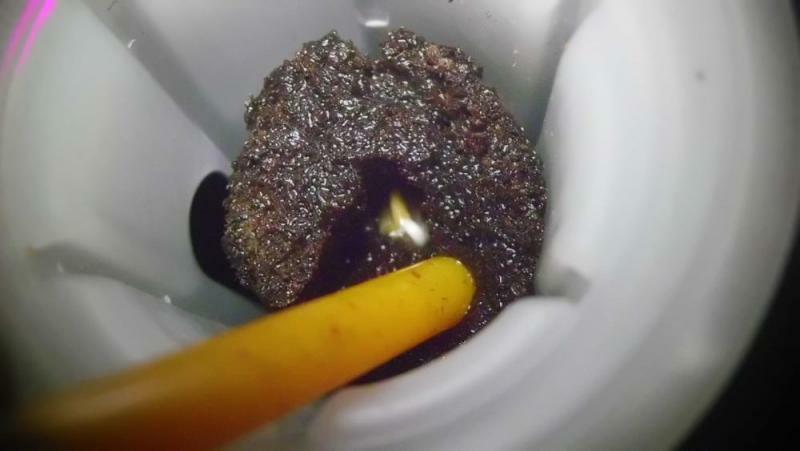 (11:23 edit) I see the Piment Cabri and Giant Yellow CARDI Scorpion are also beginning to sprout... Things are finally underway! Edited by stickman, 22 January 2017 - 11:25 AM. If the seedlings in the Piment Cabri cell are indeed chiles, they have some strange-looking cotys. More likely, I missed some of the Basil seeds in these reclaimed cells. ... and the Giant Yellow CARDI Scorpion will in the next day or so. 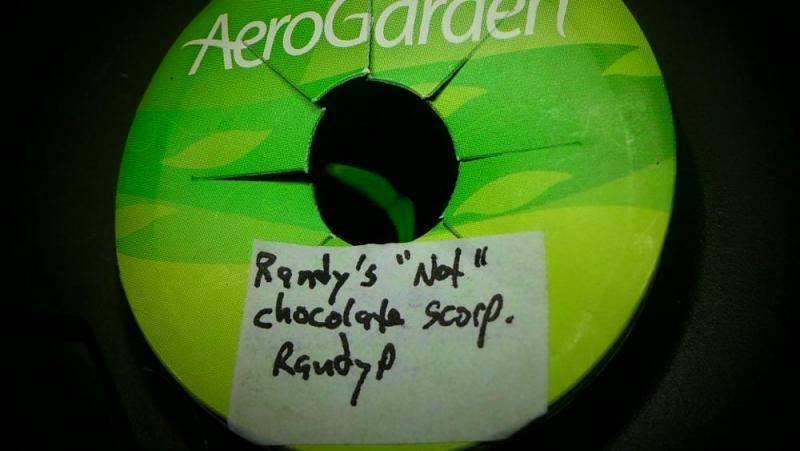 Alright... the first chile that came up to scratch this year was brother Randy's "Not" Chocolate Scorp! Turns out the plants in the Piment Cabri cell were Basil, but they're gone now, and the chile seeds in the cell are putting out radicles tonight. They'll probably hook in a couple-three days. Still waiting on the Aji Oro and Forbing Naga seeds to sprout. The Giant Yellow CARDI Scorp is starting to hook and should be fully upright by tomorrow night. Nice start Rick. 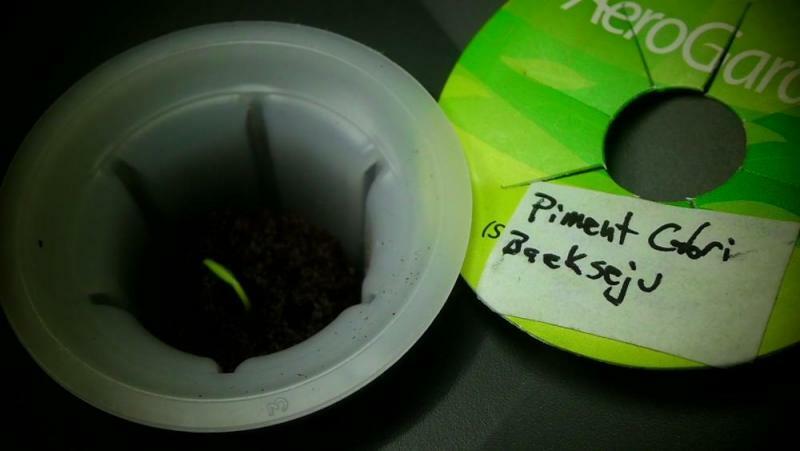 I have been slacking so far but I hope to get some seeds planted soon. Hope we all have a great year. It's my favorite time of the year, hook and pop time! Cheers Terry, and right back atcha! Cheers Scott! I'm gonna be a while catching up to you. Think you'll experiment with the IRT plastic mulch early on to get a jump on the season? 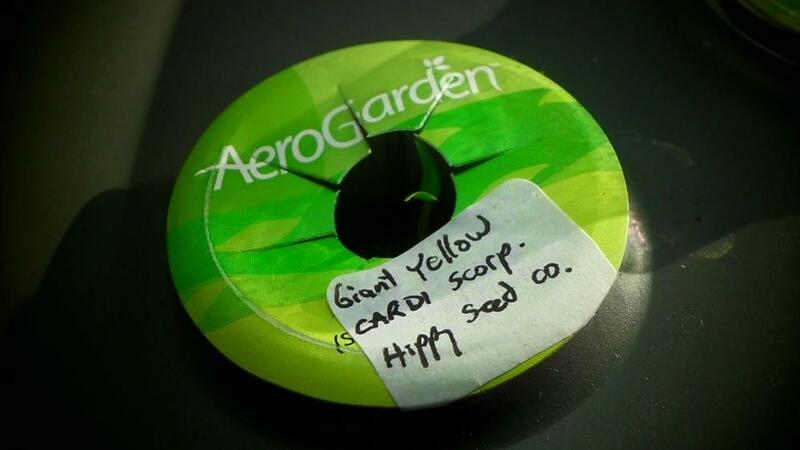 I start my germinate my seeds in plastic baggy method befor putting them in Aerogarden. Works great. I add a air stone. Once the roots start stretching, lookout. I may try plastic mulch in the greenhouse. What do you think? We have almost the same climate, just different soil. Clay on my side of town. Thanks Chuck! I say go for the plastic mulch in your hoophouse. That's pretty much what I do... I use a low row cover in the early part of the season instead of a hoophouse, but it's the same thing in miniature. Watch your overnight low temperatures to figure out the best time to transplant out in the hoophouse unless you have some way to actively heat it. Passive solar can only do so much. I wait until we get lows above 35 degrees for a full week, which usually ends up being around the middle of April here. Last year was an exception. As intense as the sun gets at your altitude, I hope you're planning on putting shade cloth over the hoophouse for the summer. Some way to ventilate it might also be a good idea. You'll be amazed at how much heat passive solar can generate when the sun's shining on it. Cheers! Hi folks! It looks like the Giant Yellow CARDI Scorpion needed another day to fully extend, but it's up now. Piment Cabri is starting to hook. Hopefully it won't be much longer for the Aji Oro and Forbing Naga. 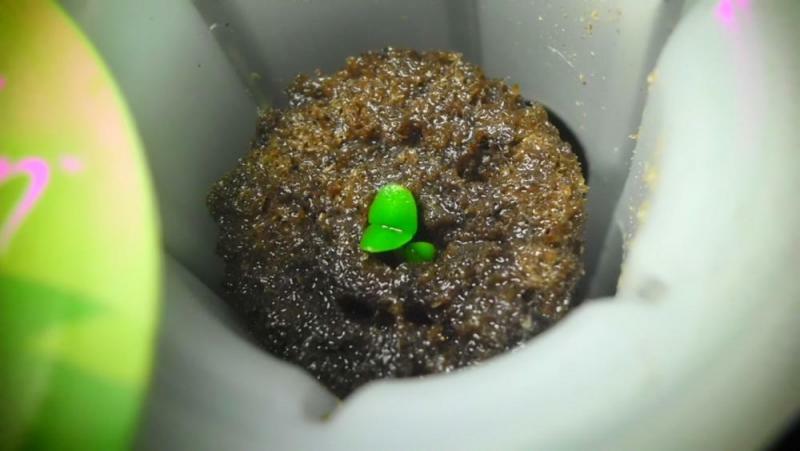 My plan is to grow them in the Aerogarden until I see the first set of true leaves, then transplant them into a peat/coco coir growing medium and free up those cells in the Aerogarden for more varieties. Coming soon... Alphanerdz Douglah, MoA Bonnets, Scotch Brain and P. Dreadie Select. compares with my 5th generation Yellow Scorpion. have success there, too... the AeroGardens are great. Cheers Paul! I've had good results growing Scorps here too, and it'll be interesting comparing notes on our yellow varieties at harvest time. I wonder if they'll be like the 7-pot Yellows I've grown before? I'm lovin' the Aerogarden so far... just wondering how much it'll affect the seedlings growth to not be exposed to mycos early on as they would be in soil. Hi All... Piment Cabri opened up from hook stage last night. If I read his comments correctly, brother Kevin (Baekseju) says it's a wild Habanero variety from Réunion Island in the Indian Ocean east of Madagascar. Really looking forward to this one... I'm hoping it has lots of wild plant vigor in its genes to add to crosses. It's been almost been 2 weeks since sowing... I hope the Forbing Nagas and Aji Oros kick in soon so I can start the next round. Take care all, and TGIF! Edited by stickman, 27 January 2017 - 06:22 AM. Looking good, Rick. I'm interested in seeing how the Forbing comes out. Gary said it was a good one. Good story behind the naming as well. I did manage to receive some of his BOC's. One of the best peppers last year! Growing this year. I'll build end walls at both sides. I'm thinking doors at each side as well. I'll roll up the sides. If it's to hot, I'll abandoned the plastic all together and just use shade cloth. Good plan Chuck! Probably much cheaper than putting in an electric fan and automatic panel-openers... Passive solar all the way! Edited by stickman, 27 January 2017 - 07:47 AM. Good to see thing's are rolling along nicely for you Rick. Best of luck this season, and all the best to you and yours.